Beveridge & Diamond is pleased to announce that Savoy Magazine has recognized Managing Principal Ben Wilson (Washington, DC) as one of their "Most Influential Black Lawyers" for 2015. The list focuses on showcasing visionaries, leaders, and advocates within the legal profession who are widely recognized for their professionalism, protection of rights, and community service. Ben has been with B&D for over 20 years and was recently elected Chair of the Environmental Law Institute. He is a fellow of the American College of Environmental Lawyers. 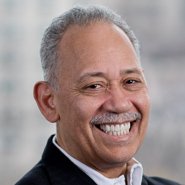 He established the African American General Counsel and Managing Partner Networks in 2012 and founded the Diverse Partners Network in 2008. He serves as an Adjunct Professor of Environmental Law at the Howard University School of Law and co-founded the Howard Energy and Environmental Law Society.